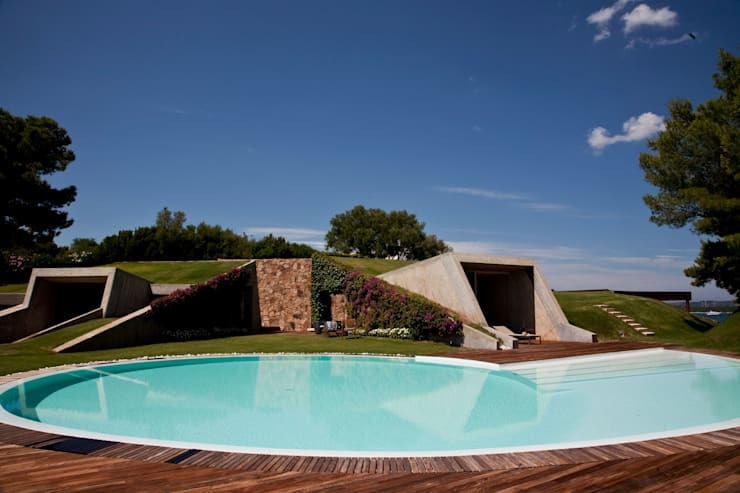 It's true that you can't really go wrong with the usual rectangular-shaped or free-form swimming pool. But for those who want a pool that's a little out of the ordinary (and something that will be the envy of all your friends! ), here are some ideas that could definitely make that pool party much more interesting. Why have one pool when you can have two? If budget is on your side, why not take cue from this example? Turn the covered roof into another pool and watch what beautiful lighting effect it creates on a good day for the pool below. Meanwhile, people who prefer to lounge by the patio are treated to the calming images of people swimming above. Explore different shapes by taking inspiration from the nautilus shell. You might be more familiar with it when you've taken up geometry class (golden ratio, anyone?). Just look at how that geometry adds character to this pool! It shouldn't really come as a surprise since the nautilus pretty much lives in the deep sea. Let us also not forget that the opening of the shell serves as a great spot to place the descending steps for your pool! 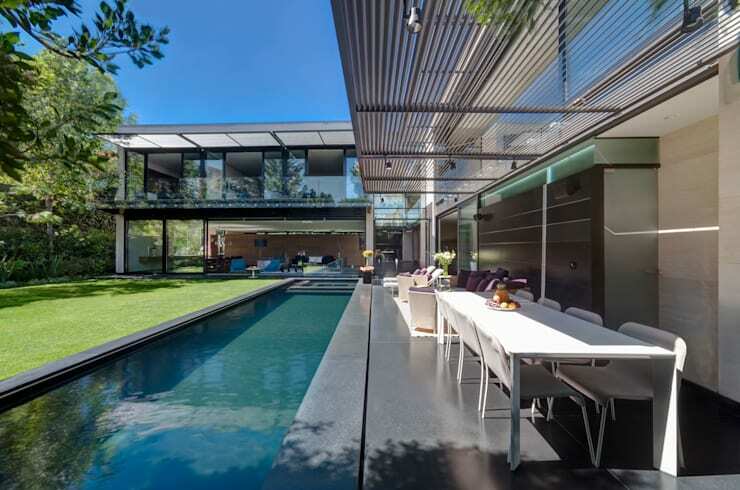 During the day, the pool's shape is accentuated by the diagonal wooden flooring surrounding it and the pool's steps also lead easily toward the house's entry way which, we must say, looks very chic and futuristic! This might also be a pool that Katniss Everdeen from The Hunger Games would swim in. Perhaps the most common yet luxurious among pool designs is the infinity pool, which begins at a certain level and appears to extend towards the sea. 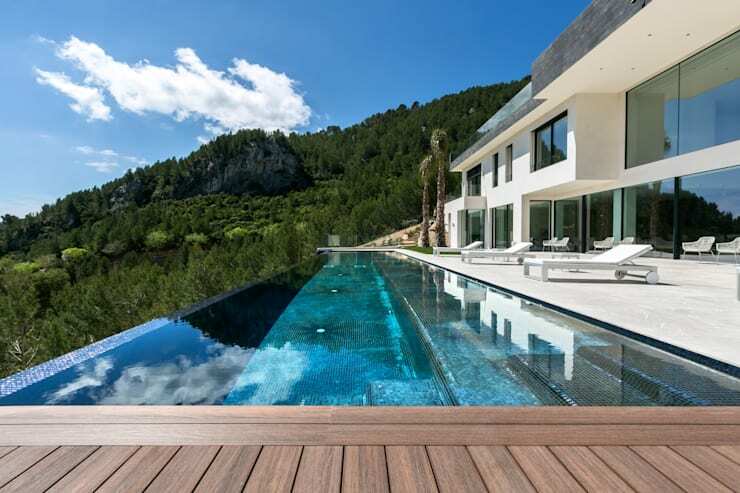 The secret to having the perfect infinity pool is a great location. 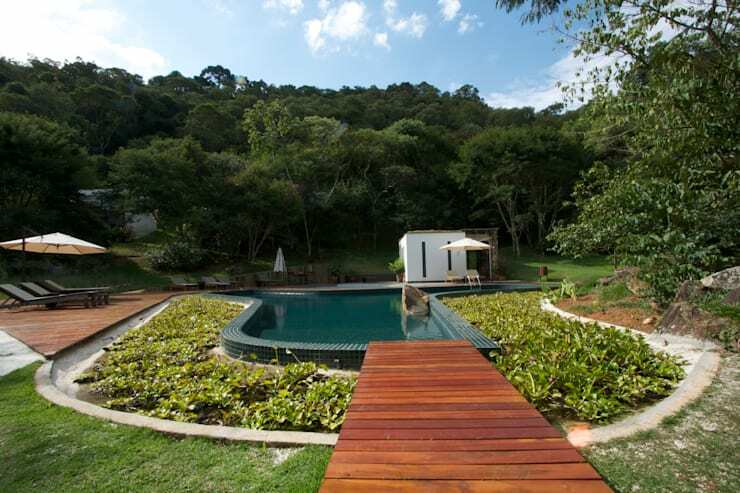 If your home is situated on an elevated area where it overlooks the sea, this might just be the perfect pool for you. 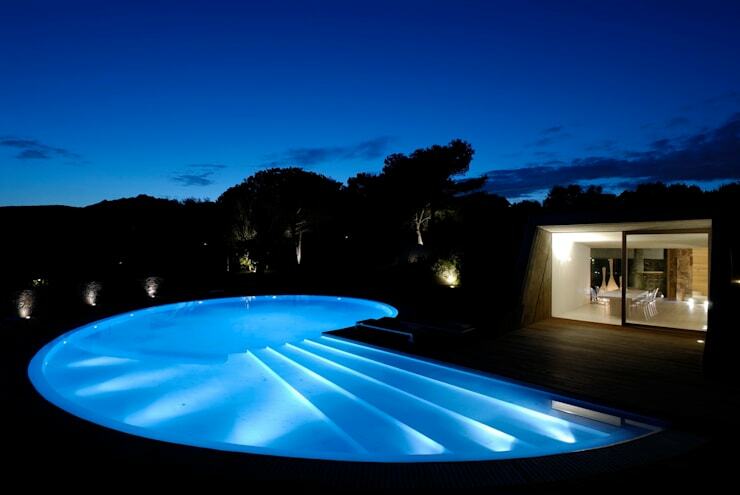 Consult professionals to see how best to incorporate this pool into your property. Here is an alternative design of the infinity pool. The end extending toward the sea is the width, giving special priority to the length that accommodates the pool side with lounge chairs on it. This works for those who may have a property by the sea, but lacks the space. Indoor pools are also great, especially for this country! Aside from the fact that you are protected from the sun's harmful rays, it is also a low maintenance alternative since it is easier to clean! Homeowners need not worry about leaves falling into the pool, or debris suddenly floating in the pool after a turbulent storm. Add some good lighting and perhaps some entertainment like the TV and your ready to host a pool party! 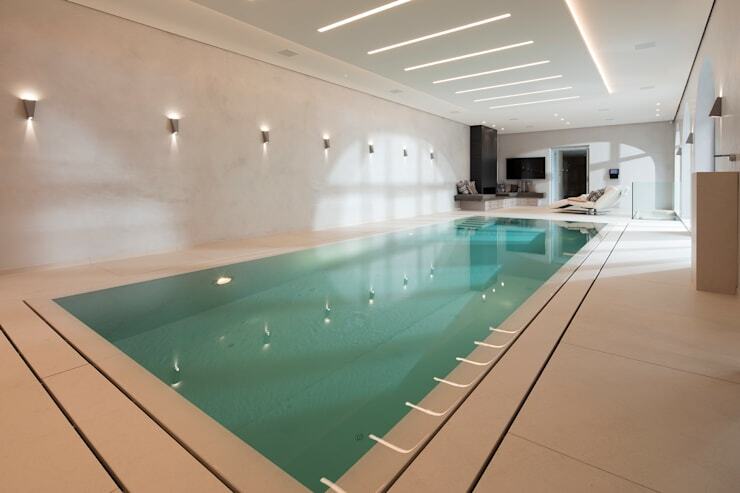 Lap pools are a clever alternative to the spacious Olympic-sized pool. They usually have the same length as the latter, depending on the owner's preference. If they do have the same length, you get the same benefits of practicing like an Olympian minus the space which usually accommodates your fellow competitors. Here, the sides of the pool have been used for seats and tables, plus a lawn for more activities on the other side. Keep it interesting by adding a jacuzzi, too. This pool takes an unusual wishbone-like shape, but is surrounded by water hyacinths. Such water plant is known to be invasive to aquatic species in rivers and lakes and can cause problems among the fisherfolk because of how it clogs areas. Using them as pool side ornaments is an ingenious way of lessening those problems. This design, however, requires the necessary consultation among experts in terms of maintaining the aquatic plants and keeping the water where those are placed clean and free from pests.